The abolition of slavery after the Civil War is a familiar story, as is the civil rights revolution that transformed the nation after World War II. But the century in between remains a mystery: if emancipation sparked "a new birth of freedom" in Lincoln's America, why was it necessary to march in Martin Luther King, Jr.'s America? 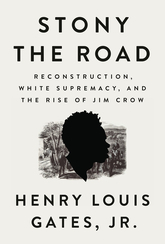 In his new book, Henry Louis Gates, Jr. seeks to answer that question in a history that moves from the Reconstruction Era to the "nadir" of the African-American experience under Jim Crow, through to World War I and the Harlem Renaissance. This profound book is illustrated in full color with period photographs that were used both to oppress African-Americans and lift them up with self-representation.